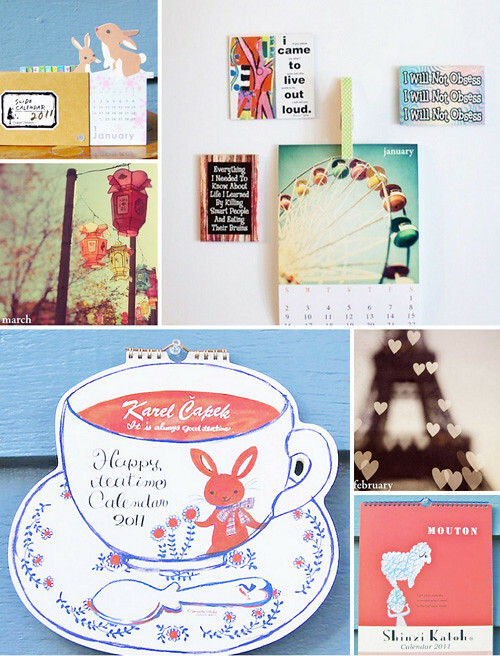 More calendars! Can you believe it? 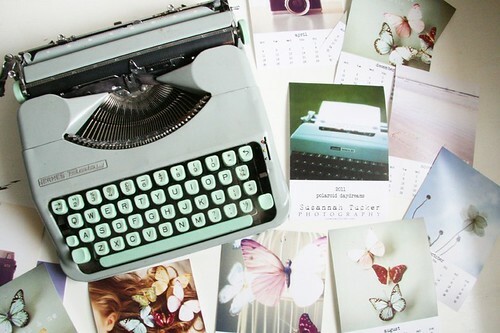 There are so many beauties to choose from. 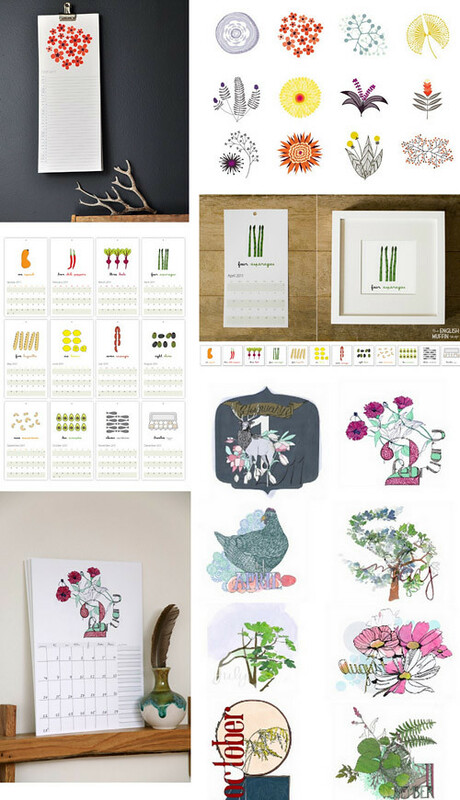 Personally, I always go for the calendars that are blank on the back so that I can cut out the image when the month is up and either frame it or use it as a postcard, card or simply as something beautiful to add to my inspiration board. I think it's a smart way to recycle and enjoy the art work long after the month is over. Ready for more great calendars for 2011? Good. Because I'm serving up plenty! 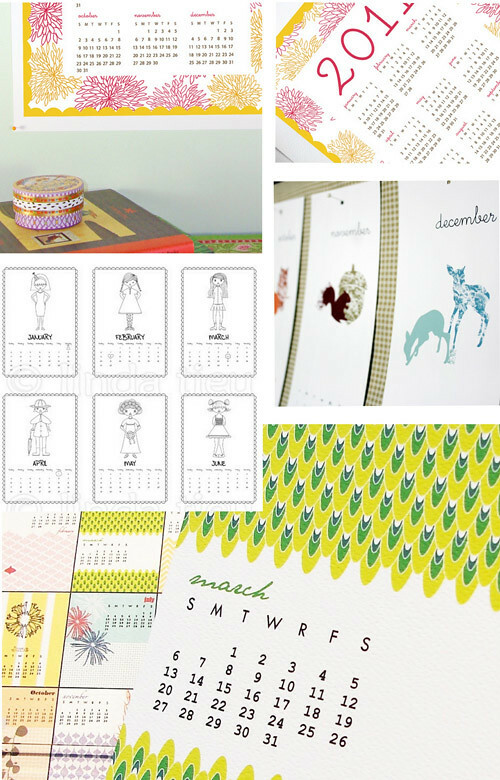 Blue Tricycle printable calendars, Pixel Impress desktop calendar and printable Calendar Girls that you color yourself by Linda Tieu and Nella Designs Dahlia wall calendar. Amy Marcella, The English Muffin Shop and Wolfie + The Sneak. 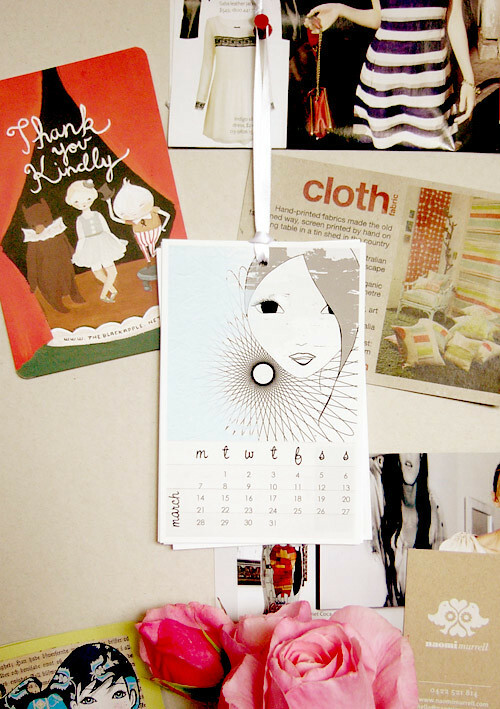 Tali Gal-on, Teeny Tiny Calendar by Kitty Rogers, Ink Spot Workshop and Valentina Design. 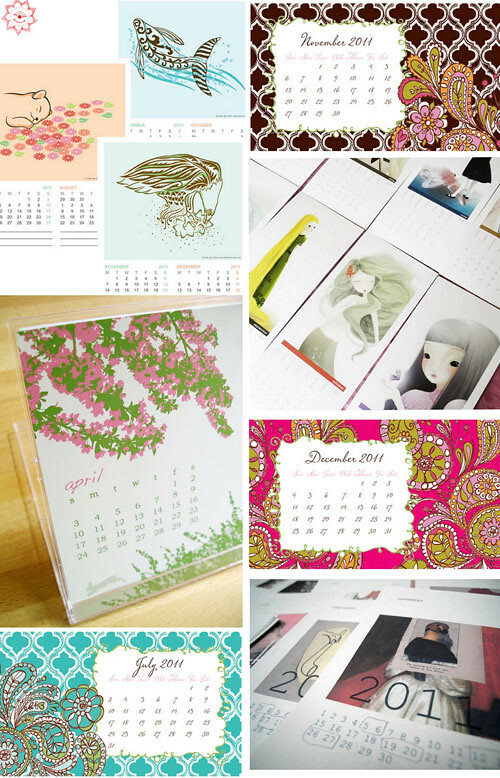 Manuela De Simone, Yenty Jap, Anna Cote, Bella Ink and Necessity of Nonsense. 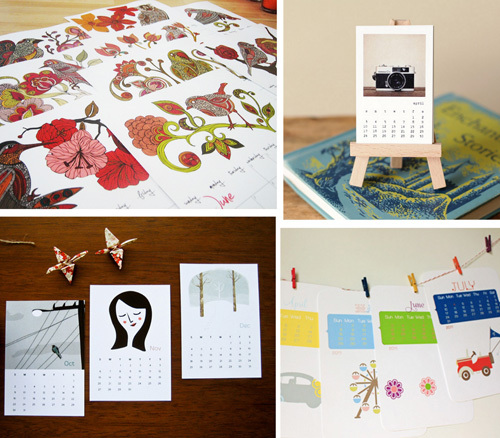 Eye Poetry Calendar by Irene Suchocki and lots of Japanese calendars to choose from in the Omiyage shop!